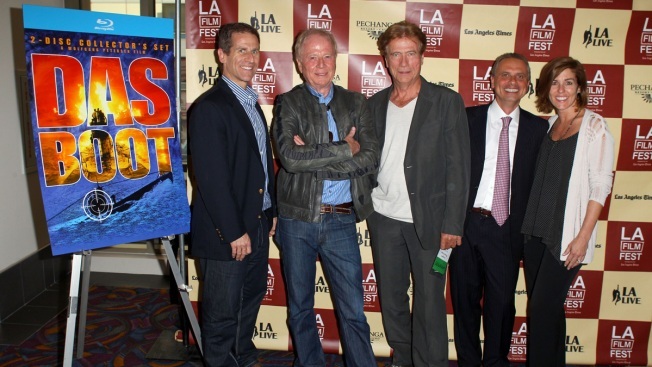 (L-R) Marc Rashba, Writer/Director Wolfgang Petersen, actor Jurgen Prochnow, Producer Ortwin Freyermuth and Tracey Garvin arrive at the "Das Boot" 30th anniversary screening during the 2011 Los Angeles Film Festival, June 21, 2011 in Los Angeles, California. Thirty-five years after the massively successful World War II classic "Das Boot," or "The Boat," which chronicled the brutal life aboard a German U-boat, plans are underway for a sequel. The dpa news agency reported Thursday that pay-TV channel Sky and Bavaria Film have announced they will produce a German-language series of eight one-hour episodes that will pick up from the tragic end of the movie. The production has a budget of 25 million euros ($28 million) and should air in 2018. It will also be based upon the eponymous novel by Lothar-Guenther Buchheim. The original 1981 film, which was nominated for six Oscars, was directed by Wolfgang Petersen and starred Juergen Prochnow and Herbert Groenemeyer. Details on the director and cast for the series have not been announced. 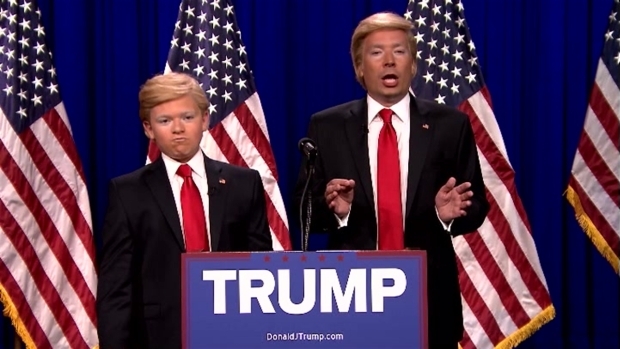 During Jimmy Fallon's impression of Donald Trump on "The Tonight Show", the host got a big hand from a "Little Donald" played by Jack Aiello, a 14-year-old with a knack for impersonating politicians. Read more here.